Bart Skils returns to Gregor Tresher‘s label Break New Soil for a ferocious E.P made up of two straight bombs made strictly for the dance floor. 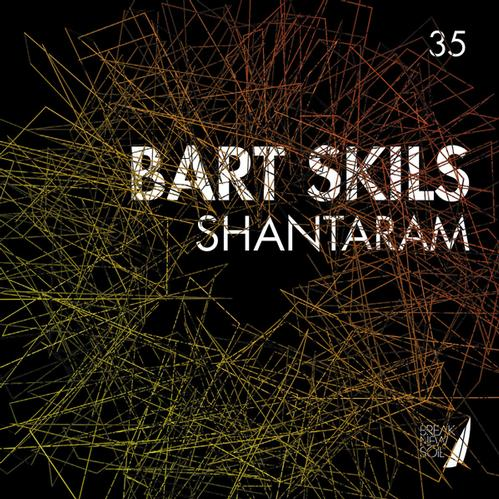 We always look forward to new music from Bart, his tracks have an extremely defined and unique sound that always cause mayhem in the clubs. We have witnessed this many times and we are pleased to say these two latest tracks continue this theme, both tracks are full of weight, power and most importantly groove! The drums and bass are almost welded together to create a wall of sound in the low end that really needs to be heard on a huge sound system to be appreciated to the fullest. We can certainly see why Bart has established himself as one of the biggest Techno DJ’s in Holland, his club night Voltt in Amsterdam has built up a huge following and we have heard great things about his ‘Voltt Loves Summer’ outdoor festival which is located on an old shipyard with 15,000 ravers going crazy! Sounds like our kind of party! As always Gregor Tresher knows how to spot a big record and Break New Soil seems to be pushing the boundaries and really promoting a future techno sound that involves young and exciting new talent. The release schedule for Break New Soil seems to be about quality over quantity with each record coming out on the label of a consistently high standard. We love the artwork too! We thought we would spoil you to two tracks today so check out the full E.P below!…..
We thought we should start the new year with a selection of 10 of of our top tracks from 2012.